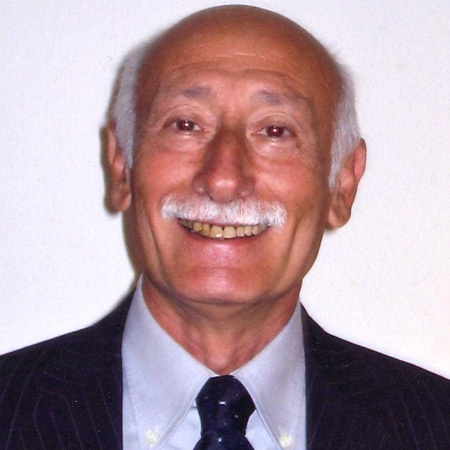 Dr. Alfio Ferlito is Professor and Chairman of the ENT Clinic at the University of Udine School of Medicine from 1997. He was Director of the Department of Surgical Sciences at the same University from 2003 to 2009. He graduated in medicine at the University of Bologna in 1968. He completed his residence programme in otolaryngology and subsequently in pathology. He worked at the ENT Department of Padua University from 1970 to 1997. Professor Ferlito has been awarded ad hominem fellowship from the Royal College of Surgeons of Edinburgh and ad eundem fellowship from the Royal College of Surgeons of England, Glasgow, Ireland and Dental Surgery of the Royal College of Surgeons of England. He is a fellow or a member of the American College of Surgeons, the Royal College of Pathologists, the Royal Society of Medicine of London, the American Otological Society, the American Laryngological Association, the Collegium Oto-Rhino-Laryngologicum Amicitiae Sacrum, the American Laryngological Rhinological and Otological Association, the American Society for Head and Neck Surgery, the Society of Head and Neck Surgeons, the American Broncho-Esophagological Association, the American Rhinologic Society, the Association for Research in Otolaryngology, the American Academy of Otolaryngology-Head and Neck Surgery, the International Broncho-Esophagological Society, the Oto-Rhino-Laryngological Society of Japan, the Japan Laryngological Association, the American Association for the Advancement of Science, the Hungarian Association of Otorhinolaryngologists (Honorary), the Slovenian Association of Otorhinolaryngologists, the Slovak Society of Otolaryngology-Head and Neck Surgery (Honorary), the Spanish Society of Otorhinolaryngology-Head and Neck Surgery (Honorary), the Israeli Society of Head and Neck Surgery and Oncology, the Hong Kong College of Otolaryngologists, the New York Academy of Sciences, the Laryngeal Cancer Association, Deutsche Gesellschaft für Hals-Nasen-Ohren-Heilkunde, Kopf- und Hals-Chirurgie, the American Society for Clinical Pathology, the College of American Pathologists, the International Academy of Pathology, the International Academy of Oral Oncology and the Interventional Oncology Society. Professor Ferlito has been author or co-author of 513 referred publications in 51 medical journals and 54 chapters in various books.